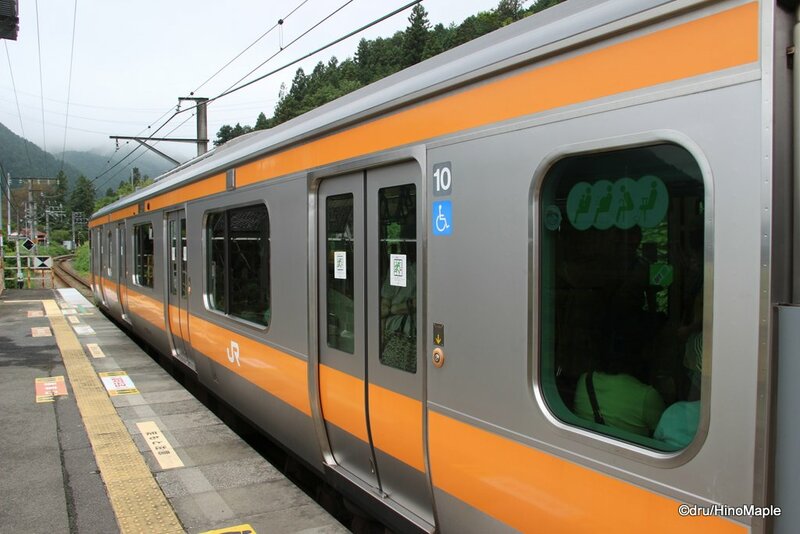 The Mitake Valley is just a short 1.5 hour train ride from Shinjuku and a good way to get out of the city. 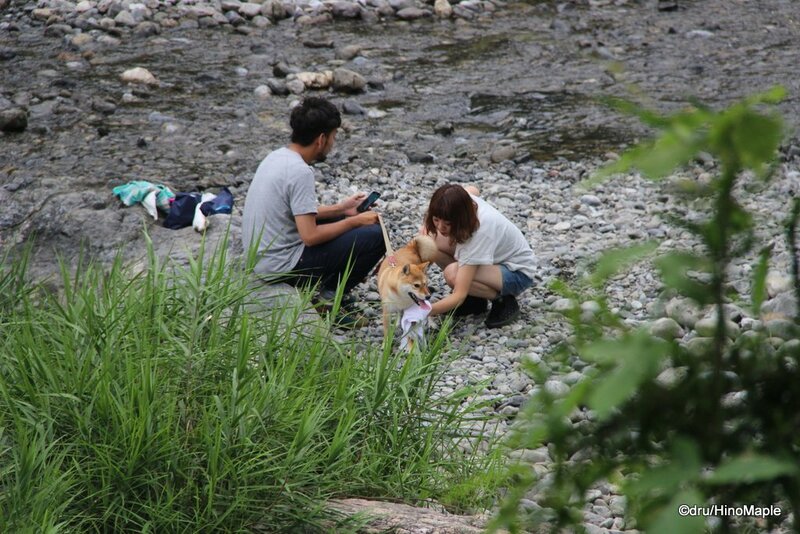 I first heard about it from Rurousha when she wrote about this nice little walk along the river in the Okutama area. I had also heard from SomedaysSarah about her visit to the sake brewery in the area as well and the seed of this trip was planted. Going to the Okutama area is pretty easy, but it can be a pain to get there. You start off at Shinjuku and take the Chuo Line to Tachikawa. You then change over to the Ome Line and go to Ome Station. After that, you have to go on to change trains again to get to Ikusabata Station. Sometimes you don’t have to change at Tachikawa but most of the time you will. My plan was to leave Shinjuku around 9:30 and arrive at Ikusabata Station at 11. It was a good plan and everything worked out well. At Ikusabata Station, I took my time to get the group organized. It was a good sized group of 9 people. Any more people and it would have been a pain to keep everyone together. Ikusabata Station is a pretty small station with just a small building; nothing special about it. To get to the main trail, you head down the “roadway” from the station to the main road and you will see a bridge. From there, keep walking along the road until you see a set of stairs heading to the river. It doesn’t look too inviting and the signs can be a little hidden if you don’t look up. Thankfully after going down 2-3 steps, I double checked that I was going in the right direction and I was! The hardest part of heading down is the uneven rocks. One person was in sandals and another had those rugged beach sandals. No one had any problems. I do recommend closed toed shoes but it isn’t necessary. Once you get down to the river, you are on the main path. It is a nicely paved path with a few sections of small wood plank bridges at places; I would hazard a guess to say it was actually concrete and not real wood. The first part of the walk was pretty easy with only one or two “challenging” areas that required you to be a little careful. My group took off without me as I enjoyed the view and wanted to take many photos. The trail itself isn’t too busy and if you wait for the crowds to leave, you can be on the trail by yourself for most of the time. I never encountered anyone else walking in my direction, and met a few people going the opposite direction. I also had a lot of fun watching the rafters and kayakers heading down the Tama River. 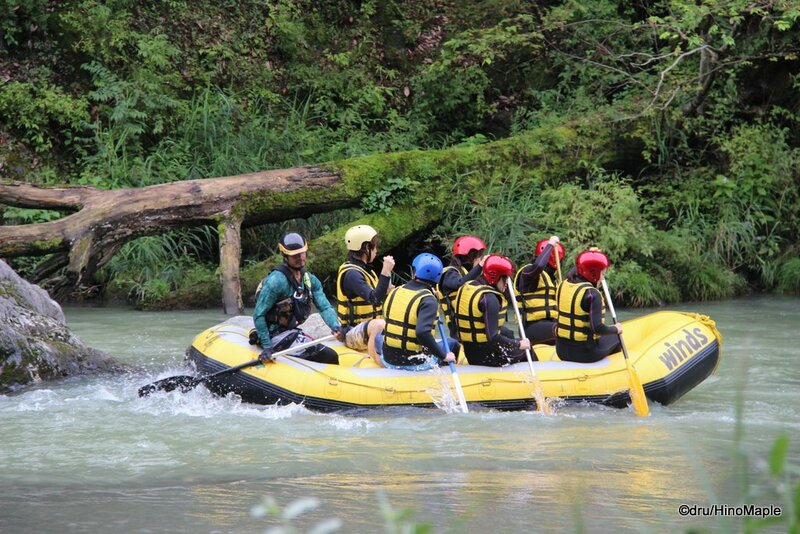 It was great to see the rafters head down the river and funny to see one boatload of people almost fall in once. It shouldn’t be difficult to head down the river in a raft but if you are going backwards, chances of hitting a rock is pretty high, and boy do those legs fly up when a raft hits a rock going backwards. It only took me 30 minutes to get to Sawanoi. Sawanoi is a sake brewery located right on the trail at the first bridge you come upon along the trail. You really can’t miss it as access to the brewery is very inviting. The area has 3 different areas. The first place you come upon is the restaurant where you can get a nice bite to eat. On the other side is the Sawanoi Garden, a nice open area where you can buy bottles of sake and beer, along with basic food to eat. The third area is just upstairs from the garden area where you can get tastings of sake and umeshu. There is another area across the street where you can go on brewery tours. Tours can be booked at the main window in the garden. After an extended stay at Sawanoi, we headed out again. We had a fun time just exploring the trail. From Sawanoi, the trail is a lot higher on the hill compared to the Ikusabata to Sawanoi section. You can also head down to the river at many points and enjoy a nice refreshing dip in the river. I was surprised to see all of the locals who were swimming, grilling, and just having a good party along the river. I was so jealous and wish I could have joined them. I ended up just getting my feet wet in the river to help cool off. The water was very refreshing. 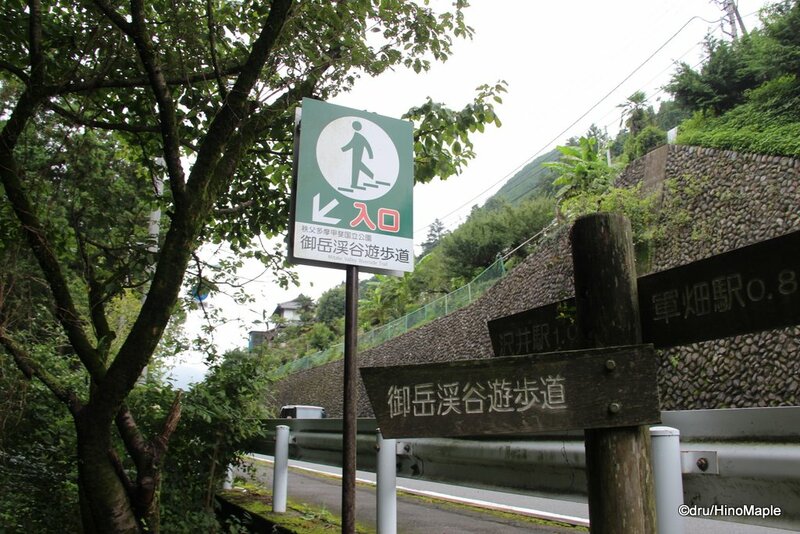 As you continue along the trail to Mitake Station, you can see several different waterfalls. These are not the magnificent ones that put you at awe. These are the very small ones where you wonder if it was really a waterfall at all. The entire area was waterlogged from the rain in previous days and the earth was just oozing out the fresh water. It was nice but made things very humid. 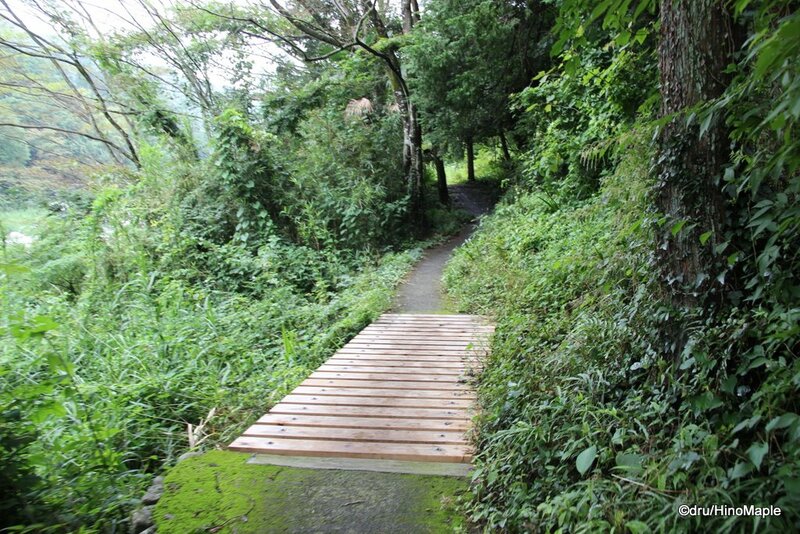 There were a few bridges along the path and it wasn’t so clear where we should have gone up to get to Mitake Station. We ended up getting a little worried that we went too far. Instead, we were fine and actually went up too early. 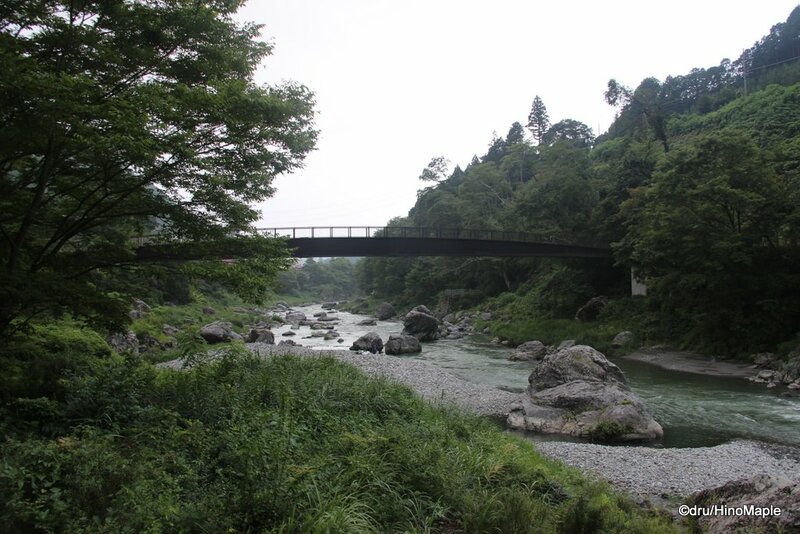 If you are going along the trail, I think you can head up to Mitake Station once you get to a big bridge for cars. Whether or not you see the cars or not is a different story, but we basically went up one bridge too early. 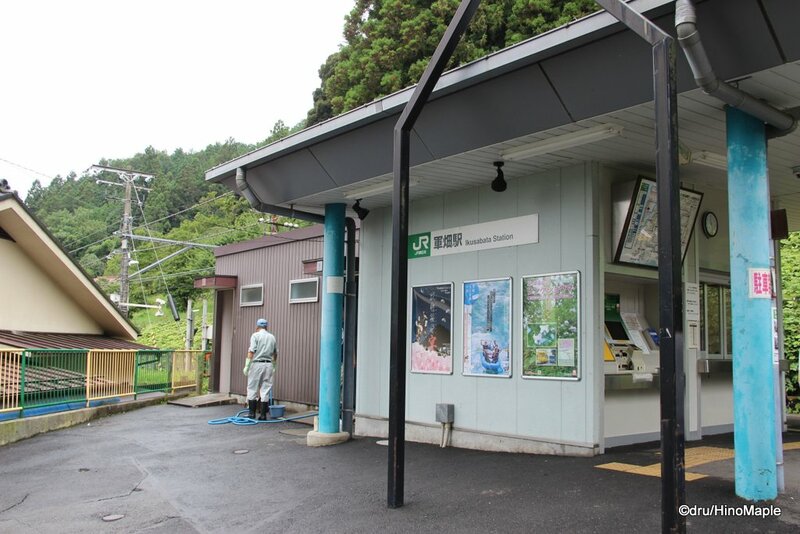 Mitake Station is very similar to Ikusabata Station. 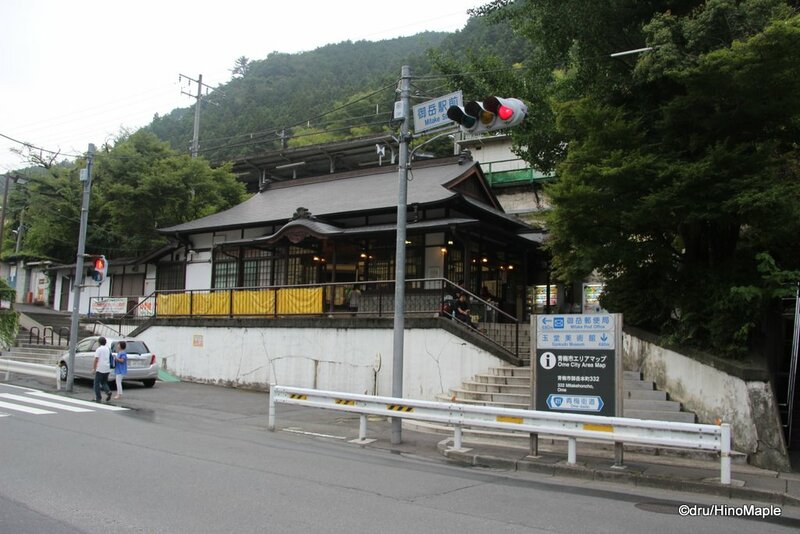 Being at the base of Mitake Station, it is busier and more permanent than Ikusabata Station. 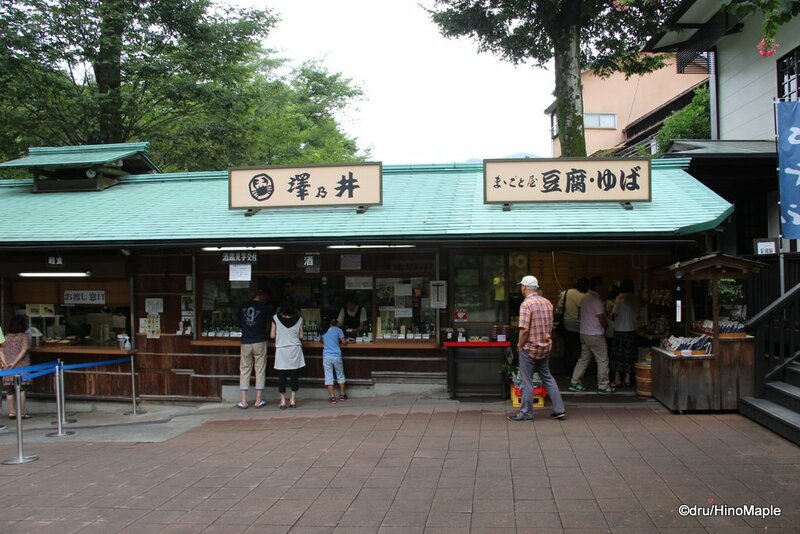 Where Ikusabata looks like a simple shack, Mitake has a more traditional feel. It also has more gates to check your fares. Once you get in, it is a very simple process of just heading up to the platform to catch the train. 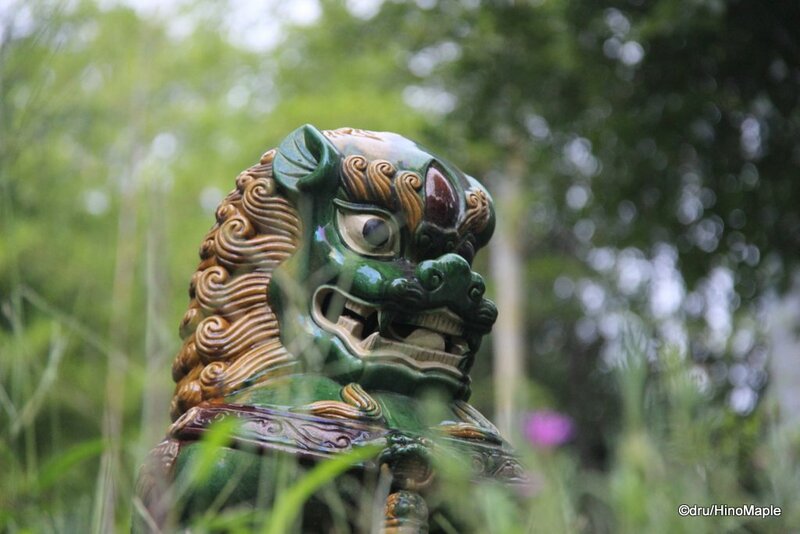 The Mitake Valley River Walk is a very simple walk that takes you along the Tama River. Anyone can do it and only takes an hour if you don’t stop. It took me all day because I spent a few hours at Sawanoi Brewery. If you include that, you can make it into a simple day trip with very little exercise. It’s the perfect city slicker day trip and even people who can’t hike can do it. PS: I think someone like Lina would need to go running in this area. Saw tons of runners out and about. 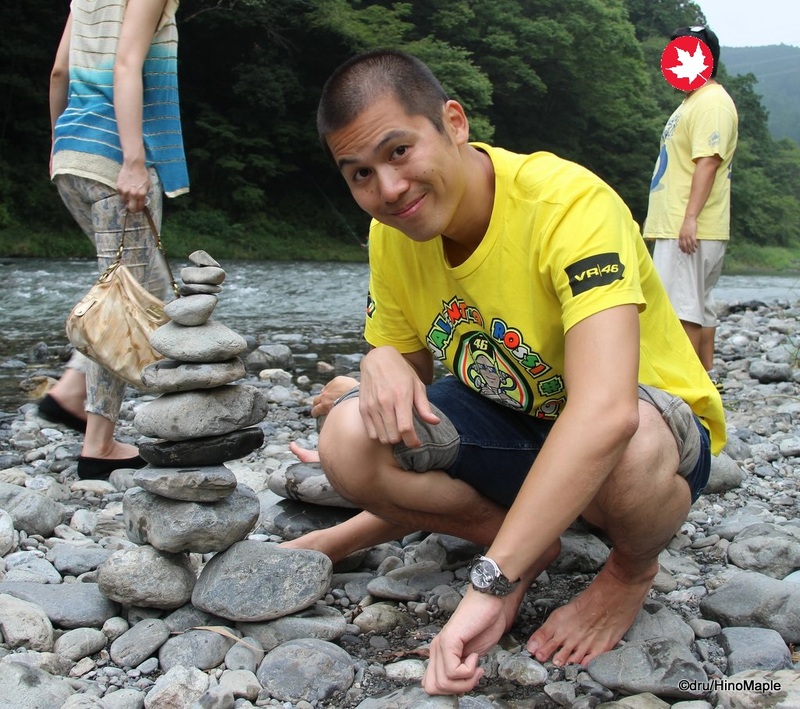 This entry was posted in Kanto and tagged Chuo Line, hike, Ikusabata, Ikusabata Station, japan, Mitake, Mitake Station, Mitake Valley, Okutama, Ome Line, Sawai, Sawai StationS, Sawanoi, Sawanoi Brewery, Tama River, Tamagawa, tokyo, Tokyo-to, walk by Dru. Bookmark the permalink. 1. I think it should. 2. Yes it was! Summer is a wonderful time, but I was a bit tired after. 3. None actually. At least I don’t remember hearing any. 4. Yes. That’s coming up when I get time to get photos into it. 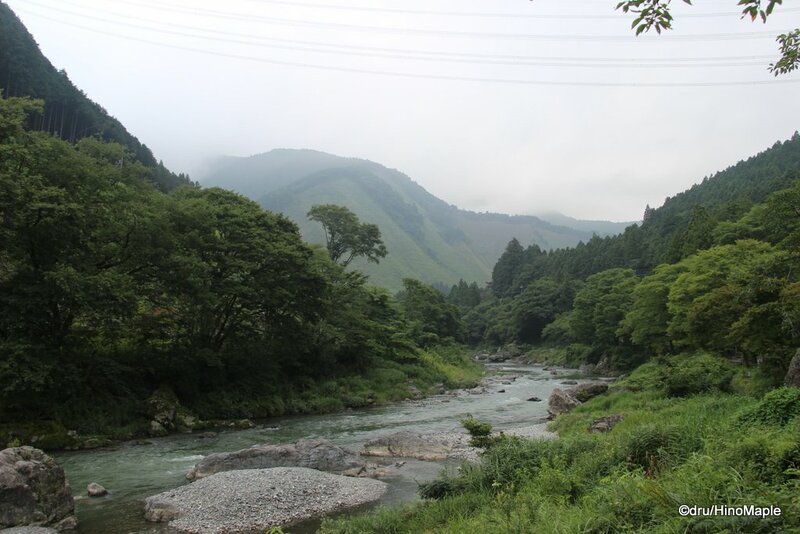 Wow, I knew of Okutama but had no idea that there was a Mitake Valley. Is that somehow connected to Mt Mitake? I’ve only climbed the mountain. I’d assume Mitake Valley is connected to Mt. Mitake. You have to ask Ru about that.. Never climbed the mountain. May go back in October or November if I have time and my friend isn’t working. He couldn’t go last time because he was working too much.